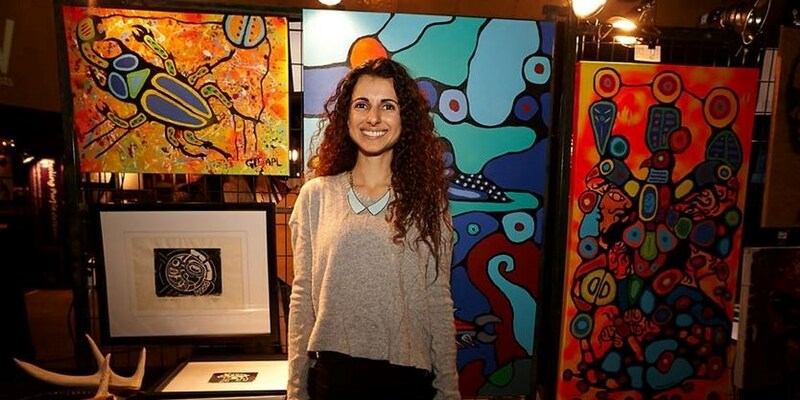 The backstory: Toronto artist, Amanda PL, has been called out for cultural appropriation and plagiarism. Widespread outrage within First Nations and artistic communities resulted in the cancellation of her upcoming exhibition. To make matters worse, a video was released where she and her boyfriend used racial slurs and mocked Asians. This has sparked a heated national conversation about cultural sensitivity, cultural appropriation, and white privilege. So… after studying the articles, interviews, videos, extensive commentaries, and thinking long and hard on this, I’m going to go out on a limb here and say some controversial things that to date nobody has pointed out. They are details that I feel are important to the broader conversation – mainly around the “white privilege” backlash that Amanda PL is experiencing. I find it curious that she repeatedly emphasizes her status as a Toronto-born Canadian, but carefully omits information about her cultural heritage. You see, I strongly suspect that Amanda PL is a “hyphenated” Canadian, which raises the question of whether the accusations of white privilege even apply in her case. Although she is Canadian by birth, her parents likely immigrated here, but from where, she is not saying. In Toronto, 75.8% of the population consists of people who are foreign-born or who have at least one parent born outside Canada (2011 Census). This girl has a slight, but detectable accent, she mentions spending time on the Mediterranean (on her website), and she calls her boyfriend, Bibi, a common nickname in the Middle East. And at the risk of falling into the realm of murky stereotypes, her hair and facial features suggest the look of a classic Middle Eastern beauty. Why is this important? Many people are angry (and I’m paraphrasing here) that this “white girl” is appropriating a marginalized culture, the historic subjugation of which contributed to her elevation as a white, privileged Canadian. While she does appear to come from privilege of some sort, I seriously doubt that she is representative of white European colonialism that lead to the cultural genocide of First Nations People. Her story – the story – is more complex than that. I am not in any way defending her, but it might be worth examining how families navigate the complexities of long-standing cultural issues, warts and all, of their newly adopted countries? Even second-generation Canadians often don’t seem to quite get the hang of it and can view the world through a lens tinted by the baggage of their immigrant parents. In the case of Amanda PL, when confronted by her astonishing display of willful naiveté, it seems that she is trying very very hard (through misguided methods) to claim and build her Canadian identity while simultaneously shedding or negating her own ancestral roots, whatever they may be. 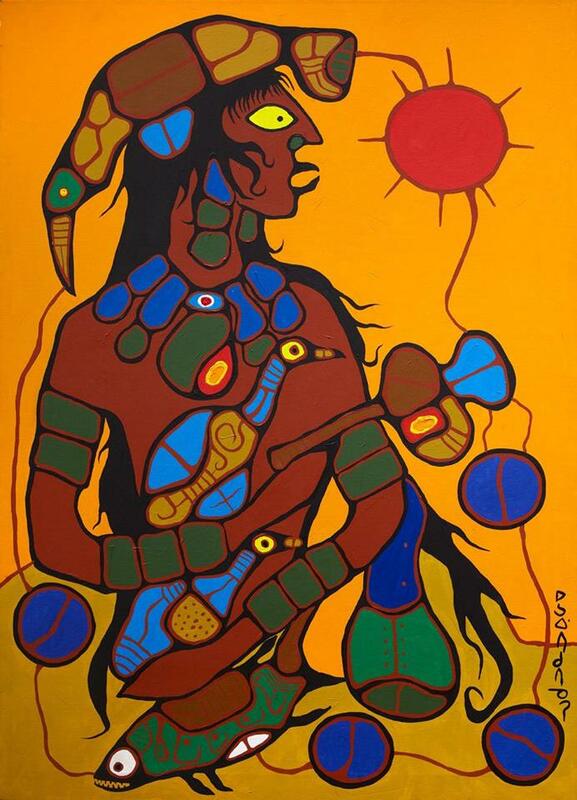 To be viewed as “other” within a bigoted dominant culture is no easy life, as indigenous people know all too well. For a hyphenated Canadian to be working so hard to erase the hyphen in their identity, only to turn around and crash the wounded boundaries of an marginalized cultural group… well, that’s just sad. Yes, I’m making a huge assumption, but if my assessment is accurate, and I suspect that it is, how profoundly unfortunate. Canada’s immigration policies, on principle, have always been based on respect, diversity, and inclusivity. Is it all just an illusion for some? Sadly, the answer is probably yes. Imagine how great Amanda PL’s art could be if she were brave enough to create a hybrid of her family’s cultural origins influenced by the Woodland Style. Now THAT would be original. Unfortunately, as an uneducated, self-taught artist struggling with identity issues and a lack of imagination, she has stubbornly latched on to the justification and delusion that her plagiarism is adding something valuable to the Canadian cultural landscape. Clearly, her Native Studies courses have taught her nothing. As one person commented, either she had a really bad teacher, or she was a really bad student. Amanda PL is likely struggling with issues that I know little or nothing about. But I do know this: children of immigrants who grow up in Canadian schools have to reconcile the Western values they learn there with often conflicting cultural values in the home. They can’t help being a little confused and a product of both. Trying to deny or hide it is deeply problematic on so many levels, including psychologically. Many hyphenated Canadians have and are struggling with identity issues, and are being vocal about it. I’m sure they would have some very valuable insight to add to this conversation. In conclusion, and regardless of any underlying factors, Amanda PL seems unwilling or unable to understand that she has crossed a line. I would also add that the owners of the Visions Gallery (new to the art world) were remiss in their duty to ensure the integrity of every artist and exhibition they host. How did the situation get this far? Has this young woman (who studied at York and Lakehead universities) been encouraged for the past five years by a long list of enablers who themselves were lacking in cultural sensitivity and knowledge of artistic protocol? Everybody knows that while it’s okay to copy “the Masters” when you’re a student, you DO NOT ever try to exhibit or sell it as original work, right? 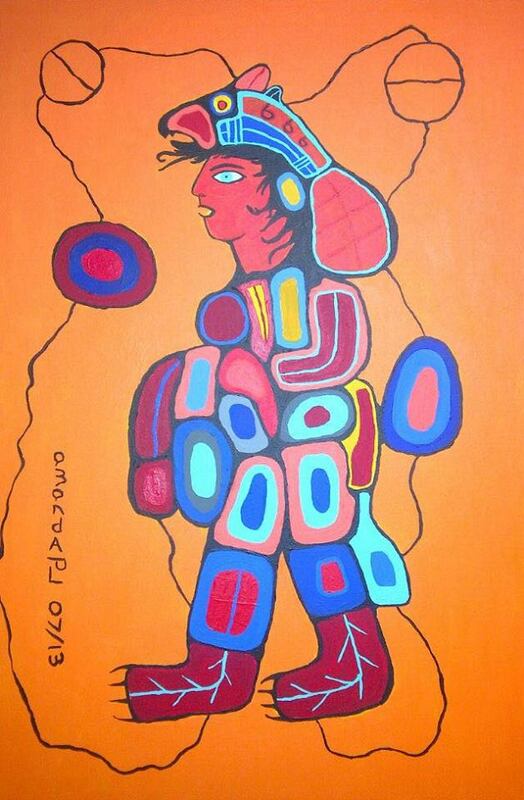 This entry was posted in Art, Article, Essays, News, Politics, Writing and tagged Amanda PL, Cultural Appropriation, Cultural Genocide, Cultural Insensitivity, First Nations, Hyphenated Canadians, Norval Morrisseau, Plagiarism, White Privilege, Woodland Style. Bookmark the permalink.